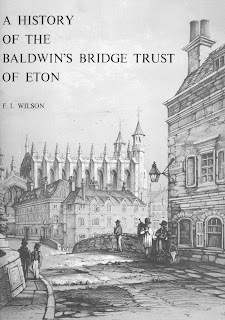 The other early parish charity was the Baldwin's Bridge Trust. 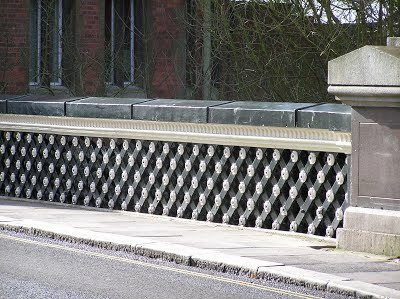 The original bridge must have been built by the early Middle Ages, but the Trust to ensure its maintenance was not founded until the year 1592. Thirteen parishioners made up the original trustees and among them were three members of the Bell family, Henry, John and Matthew, all possibly from the Wick. In the centuries since other members of the village have served, both as trustees and Bridgemaster (Chairman of the Trust); William Woolhouse in the eighteenth century, Edward Pote Williams in the nineteenth and Mrs Florence Wilson in 20th century. The income of the Trust comes from the rent of houses built on land owned by the Trust just south of the bridge in Eton High Street. 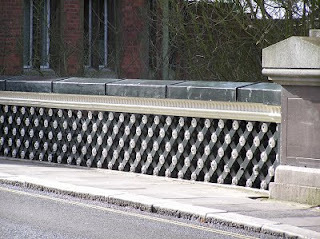 The trustees are empowered to spend the money on repairing the bridge and its surface or erecting a new one when necessary, and to spend any excess money 'in such ways as seem to be best and to the most advantage of the inhabitants and parishioners of Eton'. For many decades there was apparently no balance to spend, in fact not until 1668 when the apprenticeship fees of four boys were paid. There followed another long period of inactivity until the middle of the eighteenth century, when for a short period bundles of flax were bought and given to needy parishioners for spinning. This was not a very common method of giving help, but had been tried for many years with varying degrees of success in Windsor. In 1714 and 1764 twenty six families were given gifts of food and later in the century £20 was expended on the poor. At the turn of the century flour and faggots were given to the workhouse and a few years later clothing and blankets were sent to cottagers suffering from the floods. As the century progressed the number and variety of causes helped by the Trust increased considerably. Many of the old causes are now irrelevant to the modern way of life, but numerous clubs and societies have benefited from financial help from the Trust, and in 1947 many people were grateful for contributions from it to alleviate the damage caused by the floods of that year. Since 1773 the trustees have also been responsible for disposing of the interest from the £150 left in the will of Joseph Benwell, and since 1787 for the interest from Joseph Pote's legacy. The way in which Benwell's money is spent is at the discretion of the trustees and was usually expended in providing coals for elderly people. On the other hand Joseph Pote directed that the income from his legacy should be spent twice yearly on bread to be given to poor parishioners attending particular church services. For well over sixty years the terms of the will were complied with literally, but during the last century this became unpractical and instead the bread was distributed to the houses of the poor. Today, with the change in the value of money, the combine income from the two legacies is too small to do even that. In recent years further donations have been received and they, together with money from the Baldwin Bridge Trust itself, is used so that over a hundred senior citizens each year at Christmas receive a voucher which can be spent at one of three shops in the parish selling not only bread but also other groceries. 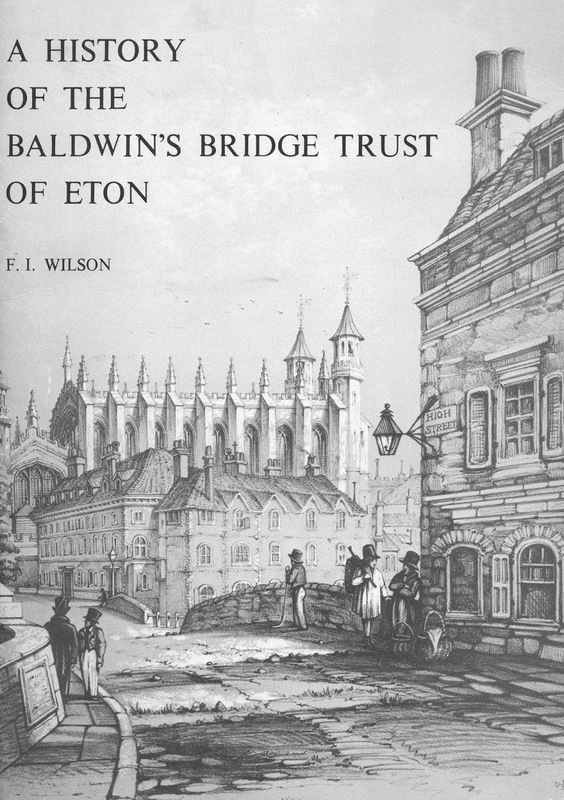 A history of the Baldwin's Bridge Trust of Eton was published in 1976 by F.I. Wilson. Mrs Wilson became Bridgemaster in 1956, the first woman to be appointed to the post.